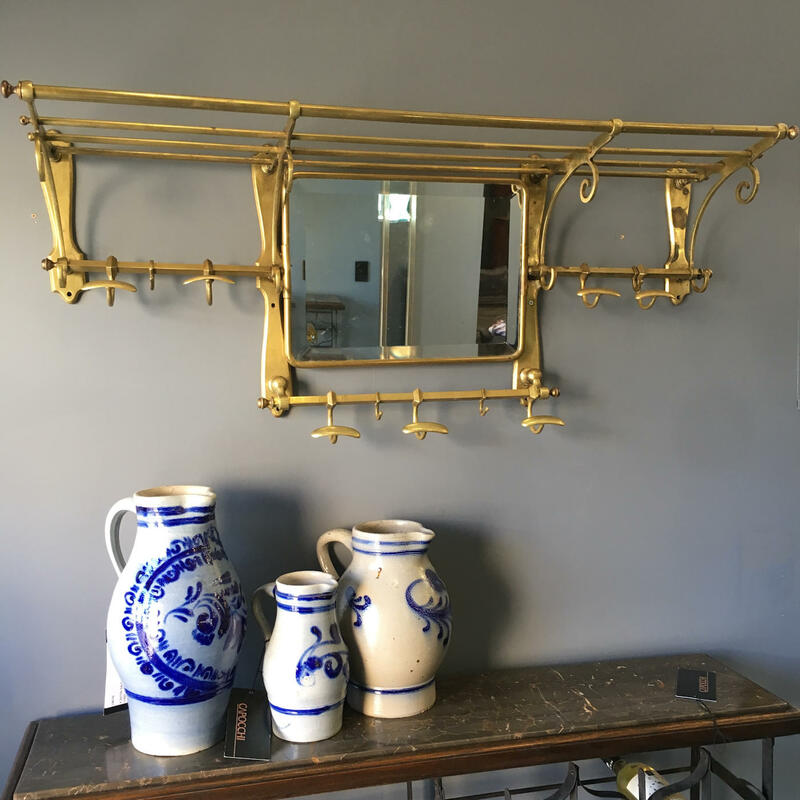 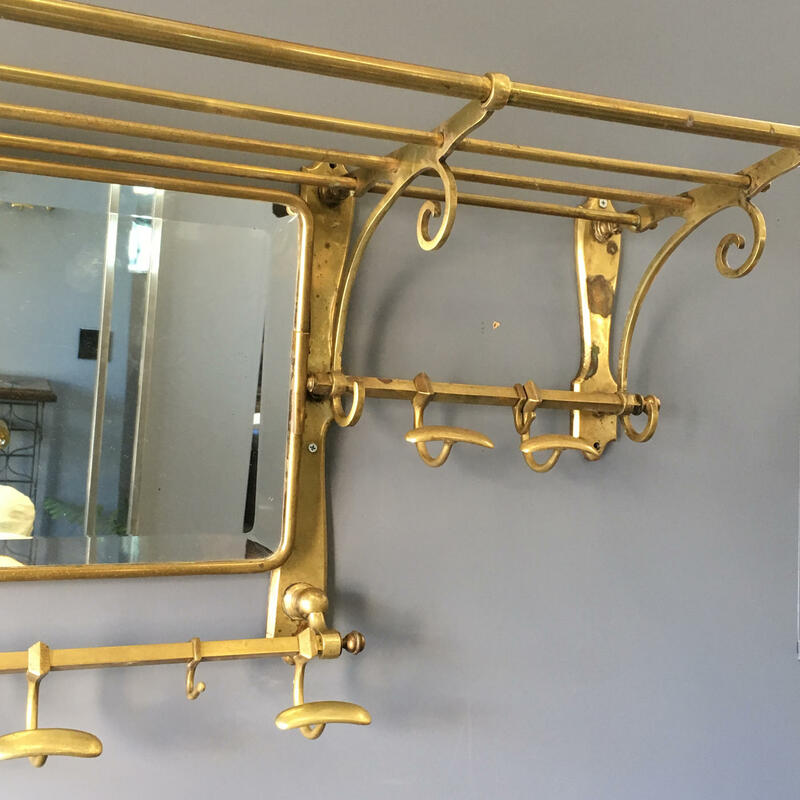 Hand forged French Brass coat and hat rack with adjustable mirror. 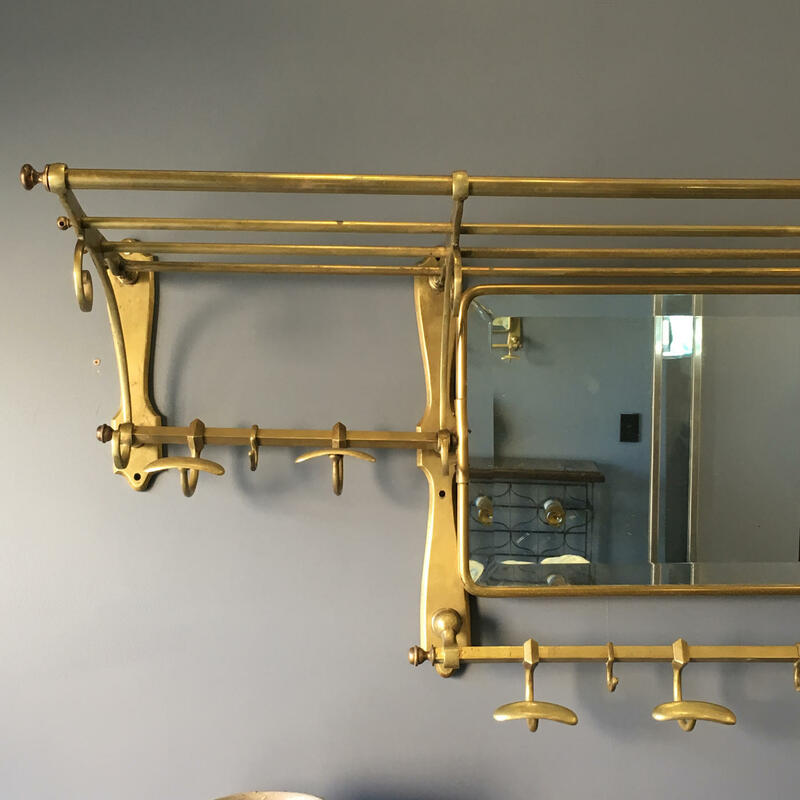 Dating from the 1940s a great piece for any entrance way or bathroom. 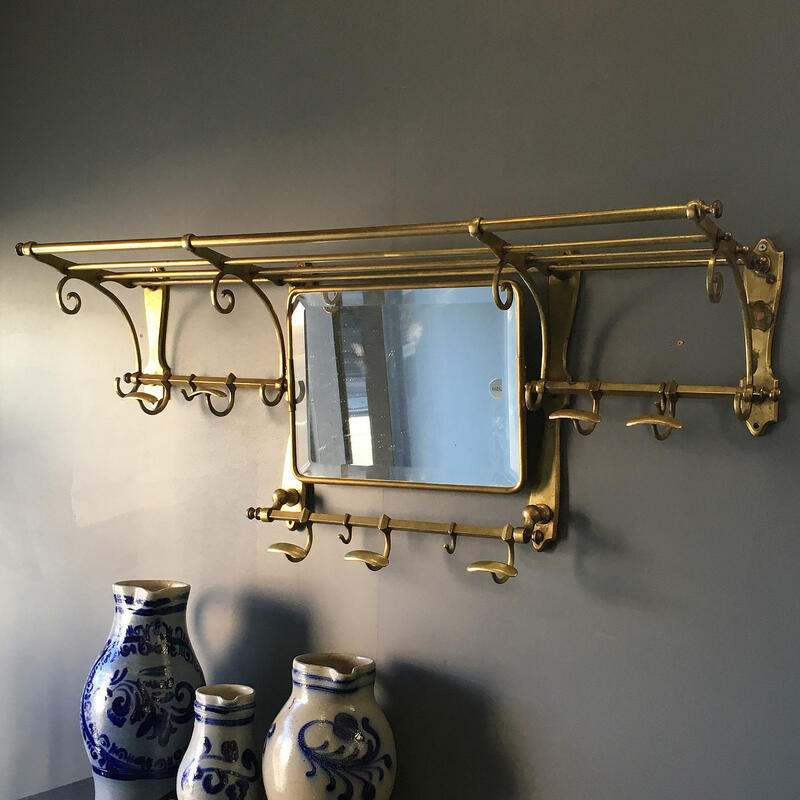 29cm Deep, 110cm Widest Point, 50cm High.